I mentioned in another review that I have been wanting to study composition and dig deeper into photography for a long time, but had yet to find the right tool. When I finished Capture the Moment and saw that this book was still available on Blogging for Books, I was excited to order it! All the reviews make it sound like it’s an amazing all-encompassing nature photography guide. 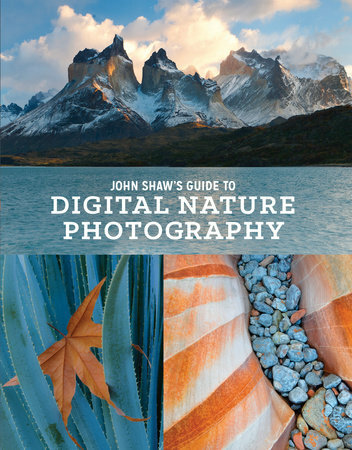 John Shaw’s Guide to Digital Nature Photography by John Shaw is an excellent resource for newer or experienced photographers looking to improve their landscape or nature photography skills. Though there are detailed tips for choosing gear and explaining camera settings, I would not recommend this book for people just starting out in photography. You have to already have some idea about and experience with different styles of photography, terms and lingo, and camera gear and settings. The instructions that Shaw gives are not simplified enough, in my opinion, for someone who has never heard these terms before. This book is best for someone who has practiced photography, but would like to go deeper into the art, gain knowledge of the field, and hone their skills. One thing that annoys me a bit is that since the author’s work is so revered, he seems to have a big of an ego when making recommendations. He is biased towards what he uses and does in his own practice, and doesn’t offer much advice for what to do in a situation that may differ from his typical practice (i.e. hobbyist photography). Of course, this book would be most helpful to you if you are seeking to become a professional nature photographer, since that is what Shaw can speak most to. That said, there is a lot that you can learn from a professional, even if you are not seeking to mimic their every move. As long as you go into reading the book with an open mind, you can pick and choose which tips apply to you. Consider why he makes the decisions he does, and think about how the mindset behind those decisions could apply to you. For example, when reading the Gear section, I was annoyed that every suggestion was based on having a photography career, and didn’t apply as much to amateurs who just want to take pictures every now and then when they’re in a beautiful place (like me!). However, I considered that spending extra money on pro gear may be worth it after all, in some circumstances. I realized that I should invest in a better tripod – one that is sturdier, taller, and has more settings – it would be helpful to me even in my amateur practice. Overall, this book is dense, but it’s enjoyable to read, as it’s filled with lots of pictures examples. It probably wouldn’t be very helpful for someone wanting to get into portrait or wedding photography, but for someone interested in nature like myself, it’s a great resource. I can’t wait to use Shaw’s tips in the mountains of Colorado this summer! Disclaimer: I received this book for free from Blogging for Books. Opinions, of course, are my own.